The room was designed by Roger D’arcy (Recording Architecture), one of the most prolific studio architects in the world, with work for Abbey Road, Lenny Kravitz and The Cure to name but a few. Roger has also designed a revolutionary ergonomic master console that is the centrepiece of the room and the only one of its kind. The room is naturally lit, air-conditioned and comfortable for six. 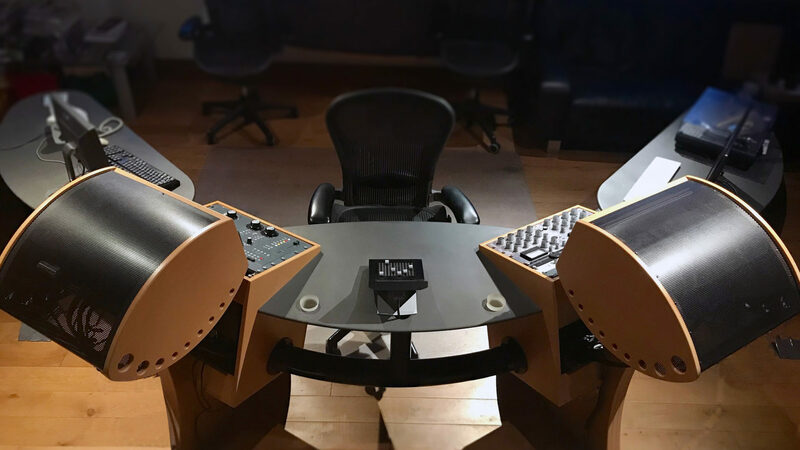 Monitoring is supplied by PMC, industry leaders in professional speaker technology, whilst Sadie 6 is the choice of workstation, capable of handling hi resolution digital audio up to 192 kHz. The award winning Prism ADA-8XR is the top professionals’ converter of choice in the most exacting applications offering the cleanest and most transparent conversion available. 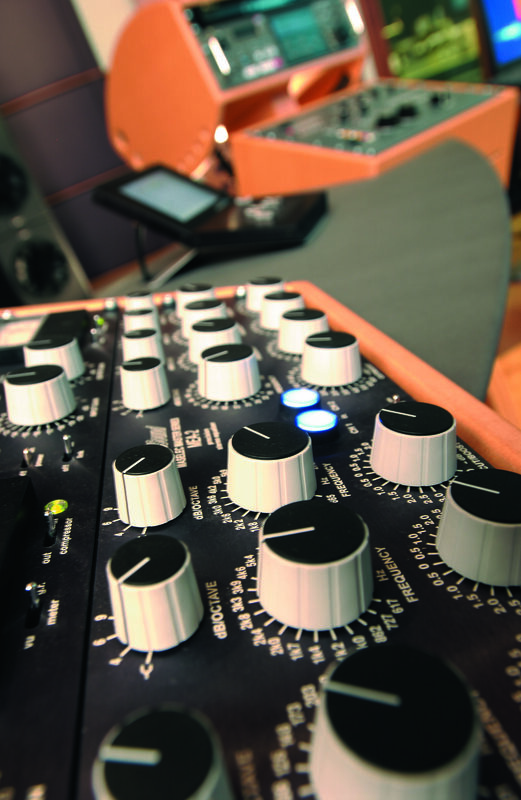 Analogue and digital outboard processing is by Prism Maselec & TC Electronics System 6000. Vinyl is cut on a lovingly restored Neumann VMS 70 lathe, with precise modifications enabling it to handle the frequency response of the most demanding genres.